Environmental groups argue for more conservation as Oregon’s policymakers seek clarity on carbon flows. Industry says the only universe in which one could conclude that the forest products sector isn’t part of the solution to climate change “is an abstract academic one”. In related news: a case is made for solving the world’s energy crisis with wooden buildings; the Prince George Wood Innovation Lab is the most airtight industrial building on the continent; and new research calculates the capacity of forests to sequester carbon. In other news: Canada’s Wood Buffalo National Park is deteriorating; Northern Pulp’s effluent plans will affect marine life; industry sews doubt on caribou recovery plans; and it’s time to rethink how we fight forest fires. 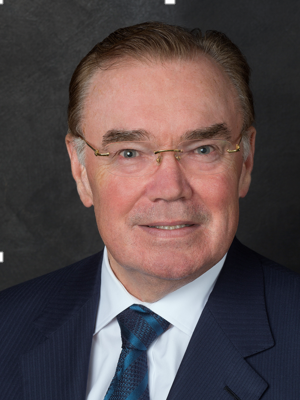 Finally, we are saddened to learn of the loss of Dr. Thomas Maness, Dean of the College of Forestry at Oregon State University, and former director/founder of the UBC Centre for Advanced Wood Processing. He will be greatly missed. If Northern Pulp is allowed to build its proposed effluent treatment facility, it will affect the marine life immediately surrounding the discharge point, says a UPEI professor. “Is there potential for very localized effects to the fishery?” said Michael van den Heuvel, the Canada Research Chair in watershed ecological integrity, based at the University of Prince Edward Island. “Yes, there is. But it will be a very small area. The question is, are the level of the effects acceptable to society?” That, and whether taxpayers are willing to pay for another effluent treatment facility for the 51-year-old mill are proving to be more of a debate than a discussion as Northern Pulp prepares to register its environmental assessment. NEW GLASGOW — Paper Excellence is committed to continuing operations at Northern Pulp, says Kathy Cloutier, communications director for Paper Excellence. “You don’t leave an area because there are some protests,” she said. Paper Excellence has invested more than $200 million in upgrades at the pulp mill since purchasing it in 2011 and has no plans of walking away now, she added. Rumours have been circulating that Paper Excellence may be considering moving out of Pictou County because of the ongoing protests, but Cloutier said there is no truth to that. Paper Excellence owns mills in other parts of North America, but each is dealt with as a separate entity, she said. One mill Paper Excellence owns is the former Weyerhaeuser pulp mill in Prince Albert, Sask. It has been used in the past to produce northern bleached kraft pulp — the same product as is made at Northern Pulp. Katerra, a construction technology company, recently revealed plans to build an advanced manufacturing factory in California’s Central Valley. The Tracy, Calif., facility will produce building components such as wall panels, floor systems, roof truss assemblies, windows, cabinets, and finishes. The 577,000-sf, factory will complement Katerra’s existing California operations, including its headquarters in Menlo Park and office in San Francisco. The new facility will differ from Katerra’s first, located in Phoenix, Ariz., by including significantly more automation, including fully automated wood frame wall production lines, automated floor lines, automated cabinet and finish areas, automated roof truss lines, an automated window line, and a light gauge steel production line. Conifex Timber Inc. of Vancouver now owns two sawmills in south Arkansas, one in El Dorado and the other in Glenwood. The company acquired the Caddo River plan in Glenwood and the Suwannee sawmill in Cross City, Florida on Tuesday in a deal worth more than $250 million. In addition to the three U.S. sawmills, Conifex owns two sawmills and a power plant in British Columbia, Canada. …Ken Shields, Conifex’s president and CEO, spoke to Arkansas Business late Wednesday about why the Glenwood plant was an attractive buy. “We really like the lumber manufacturing business in south Arkansas for two main reasons. No. 1, the saw timber baskets are very robust, and we have plenty of good saw timber available at an affordable price. In our business, the cost to fiber is probably 70 percent of the cost of manufacturing lumber. So, if you’ve got a competitive fiber cost, it really gives you a good advantage,” he said. 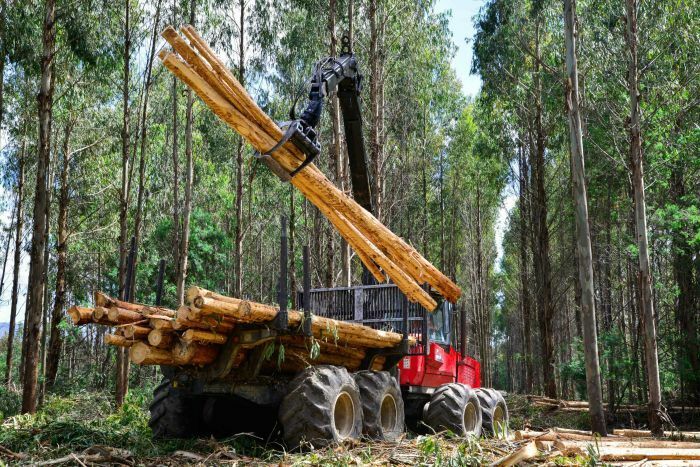 The company that purchased 29,000 hectares of state-owned plantation forests has further invested in Tasmania’s forestry industry, buying former Neville Smith Forest Products subsidiary SmartFibre. Reliance Forest Fibre was established two months before the plantation sale in September last year and has a parent company in the Cayman Islands. It is owned by Global Forest Partners, one of the world’s largest timber investment firms. According to James Neville Smith, the former owner of SmartFibre and proponent of the Southwood Fibre woodchip export facility near Dover, SmartFibre was sold to Reliance in March. SmartFibre exports woodchips from Bell Bay in the state’s north. Right to information documents released last week raised questions about links between Reliance and SmartFibre after the documents revealed Reliance general manager Danny Peet emailed Sustainable Timber Tasmania (formerly Forestry Tasmania) on behalf of the Neville Smith Forest Products Southwood Fibre proposal in late May. 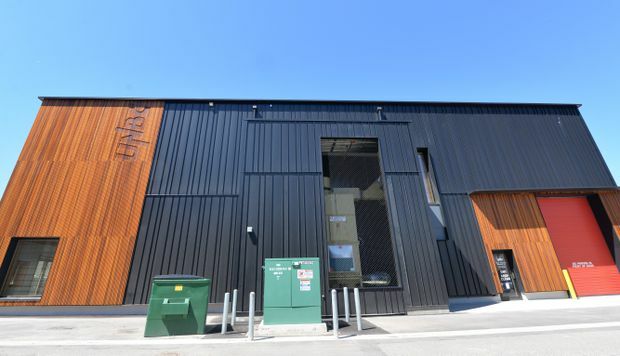 The Wood Innovation Research Lab in Prince George, B.C. [is an] engineering feat that has earned it the recognition as the most airtight industrial building on the continent. The University of Northern British Columbia building has received Passive House certification, making it the first of its type in North America to meet the internationally recognized standards for energy efficiency. Guido Wimmers, chairman of the Integrated Wood Design Program at UNBC, said the building is very efficient and cuts heating and cooling bills by up to 90 per cent in a central B.C. climate where temperatures range from -30 C in winter to 30 C in summer. “To get to Passive House standards in this climate, with this geometry, that was a big challenge and hasn’t been done, to the best of my knowledge. There are three or four industrial buildings worldwide,” he said. Urbanization and the rapid growth in population are driving the global energy demand higher. Keeping up with the demand for energy remains as one of the greatest challenges of the 21st century. Buildings are constantly being erected to maintain enough space for population growth, but the life cycle of a building is one of the most energy-intensive processes in the world. Buildings, building materials, and subsequent construction components consume nearly 40 percent of the global energy demand. While there are many reasons for the substantial amount of energy used to build and maintain buildings, one of the major environmental concerns arises from the fabrication of cement, one of the basic ingredients in concrete. …However, civil engineers and architects of today are reverting modern building practices to re-incorporate timber as a primary structure and construction material. Thomas Maness, dean of the College of Forestry at Oregon State University since 2012, died Thursday in Corvallis following a 2 1/2-year battle with an undisclosed illness. He was 63. Under Maness’ leadership, OSU was ranked the second-best college of forestry in the world in 2017 by the Center for World University Rankings, behind only the Swedish University of Agricultural Sciences in Uppsala, Sweden. “Thomas will be greatly missed,” said OSU President Ed Ray in a statement released Friday by the university. …Maness arrived at OSU in 2009, serving as head of the Department of Forest Engineering, Resources and Management before succeeding Hal Salwasser as dean of the College of Forestry. …Before joining OSU, Maness spent a decade in private industry as a research engineer, and in 1994 he founded the Canadian National Centre of Excellence in Advancing Wood Processing at the University of British Columbia in Vancouver, Canada. There has been a co-ordinated effort underway in Ontario over the past several decades to sow doubt about the scientific basis for needed boreal caribou recovery efforts. Canada’s iconic boreal caribou has seen its range decrease through habitat destruction. Efforts to reverse the march to extinction have been thwarted by a campaign of denial led the forestry sector and its lobbyists, right-wing think tanks and conservative politicians. The same tactics of denial used by logging-sector lobbyists and their proxies are those we’ve seen used to deny the harmful human health effects of tobacco and asbestos — and to deny the global implications of human-made climate change. These anti-science tactics create uncertainty in the minds of the public about the solid scientific work that is at odds with a mindset that seeks to exploit the natural environment for profit. So far, the 2018 fire season has produced a handful of big fires in California, Nevada, New Mexico, and Colorado; conflagrations in Oklahoma and Kansas; and a fire bust in Alaska, along with garden-variety wildfires from Florida to Oregon. …But no one can predict what may happen in the coming months. …Research repeatedly shows that the critical component in the WUI fire environment is the structure itself. Once a fire strikes the urban fringe it may morph into an urban conflagration, spreading from structure to structure, as happened in Santa Rosa, California, last fall. Clearly, the wildland fire community has to improve fire resilience in its lands, which should reduce the intensity of the threat. But the real action is in the built environment. 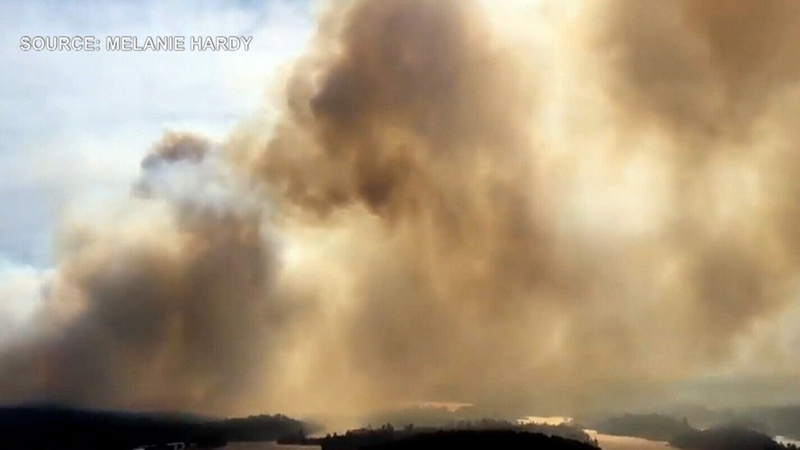 Crews battling rash of forest fires in northern Ontario, B.C. 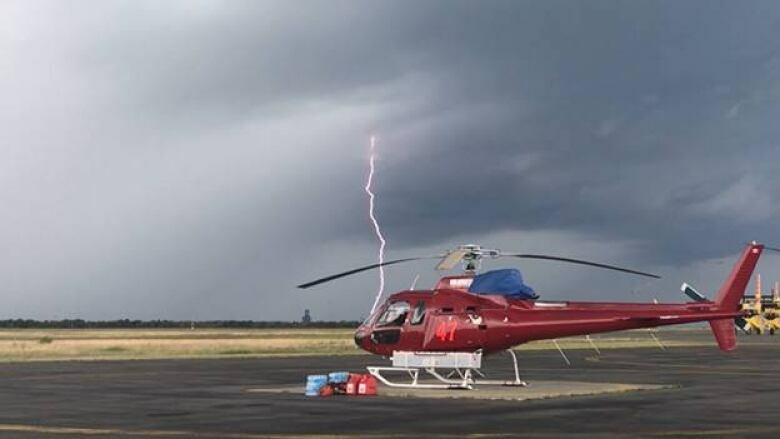 An intense heat wave, windy conditions and a number of lightning-filled thunderstorms have led to the outbreak of forest fires in northern Ontario and parts of British Columbia, with officials warning that there could be more to come. There are more than 90 active forest fires burning in northern Ontario, according to an interactive map from the province’s Ministry of Natural Resources and Forestry. Of them, 23 are under control, 18 are not under control, six are contained and the rest are being observed. 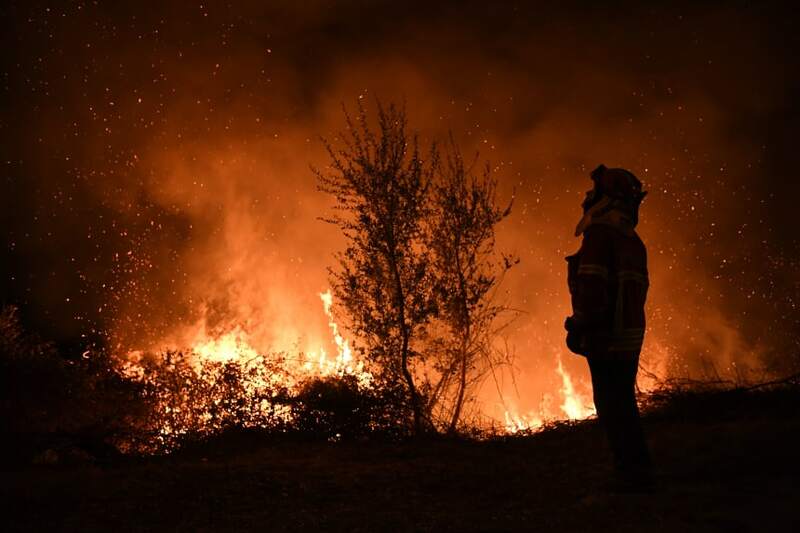 Twenty-four new forest fires were started this weekend alone. …Meanwhile in British Columbia, where communities are still trying to rebuild a year after the province’s worst-ever wildfire season, 14 new wildfires were ignited across the province last week. As fire crews work ‘round the clock to contain a rapid wildfire that caught east of Kamloops this week, it isn’t just the homes and people they are working to protect. Nestled in a tall-standing tree nearby East Shuswap Road, two eagles and their young have played witness to approaching flames since the fire brokeout Thursday. On Friday, the fire managed to catch near the base of the tree, with the young eaglets unable to fly from danger. Captured on video by Dave Somerton, fire crews worked tirelessly to quickly to keep the tree from burning down. “It has been burning but the fire team has finally put it out and now a team of people are bringing in cages and blankets for a worse case scenario,” Somerton said in a 5 a.m. update posted online. CROUCH, Idaho – With fire danger high across the west, fire crews near Crouch are hoping to make progress on the Lodgepole Fire that started as a prescribed burn. The fire is roughly 1,600 acres and 25% contained. Officials are worried about smoldering heat expanding to dry brush and expanding the size of the fire beyond the project boundary. Emmet District Ranger, Richard Newton, says the hot weather isn’t helping firefighters on the ground. “We have been actively engaged in fighting this fire for about two weeks now with all of the resources at our disposal, but with the anticipated future weather, difficult terrain, and challenges obtaining additional fire-fighting resources, I have decided to declare this prescribed burn a wildfire,” said Newton. There are several red flag warnings in place across southeastern Oregon and southwestern Idaho, which could make things more difficult for the 113 firefighters on the ground fighting flames. LOS ANGELES — A second-generation California firefighter who was using a bulldozer to prevent a wildfire from spreading was killed Saturday near Yosemite National Park, state fire officials said. Heavy Fire Equipment Operator Braden Varney, 36, died in the morning hours, the California Department of Forestry and Fire Protection said. The blaze broke out Friday night in Mariposa County, near the west end of Yosemite National Park and Sierra National Forest. Fire officials said it had burned about 150 acres (61 hectares). Varney worked through the night and was driving the bulldozer to cut a firebreak to keep the fire from extending into a nearby community, according to fire chief Nancy Koerperich. Investigators were working to determine further circumstances surrounding Varney’s death, but they believe he was working his way out of the fire area when he was killed, Koerperich said. 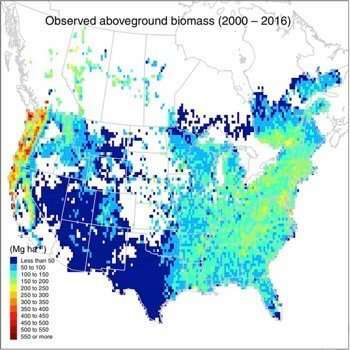 Researchers have calculated the capacity of North American forests to sequester carbon in a detailed analysis that for the first time integrates the effects of two key factors: the natural process of forest growth and regeneration, and climate changes that are likely to alter the growth process over the next 60 years. The result is a compelling picture that’s of great value, because forests play a critical role in mitigating the effects of climate change. Trees absorb carbon dioxide from the atmosphere as they grow, storing the carbon in their wood.”There’s a lot of hope that our forests will soak up the carbon dioxide we’re producing, but the capacity of our forests is limited,” said lead researcher Kai Zhu, an assistant professor of environmental studies at the University of California, Santa Cruz.